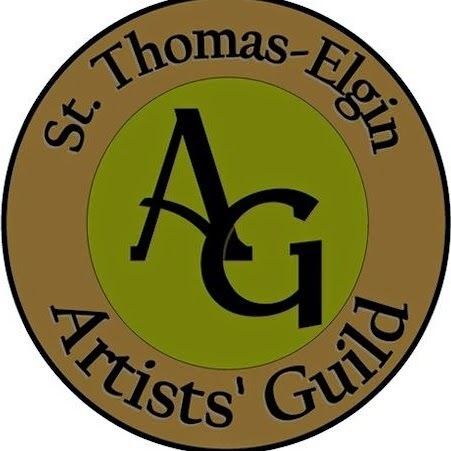 St Thomas Art Guild was founded in 2007 by a small group of visionary and creative people who wanted to promote the arts in their community. We meet every third Monday of the month from March until December each year (unless otherwise stated) at St Andrew's United Church from 7pm to 9pm. Membership fee of $25 is due annually and this fee goes towards running the Guild and putting on the Guild art shows. You don't have to be an artist to join...just have to love art and want to meet artists, learn about art and help us promote the arts in our community. Hello: I recently spoke to Kit Cutting about coming to the next meeting. Is this an open group? I am a closet art person who would like very much to interact and learn more about a hobby I enjoy. Should I bring a portfolio?